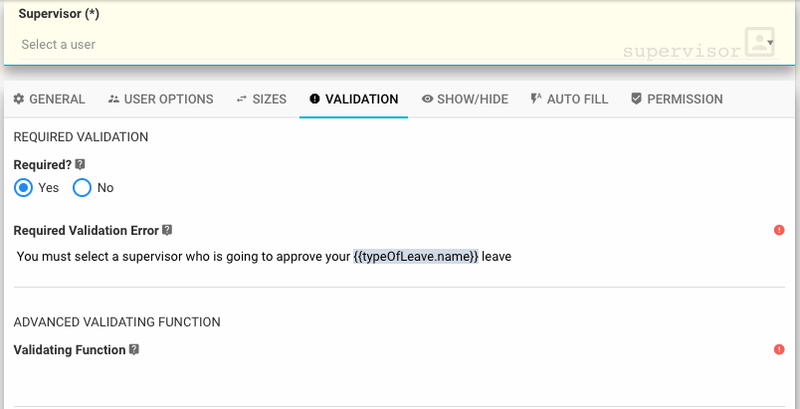 Rethink Workflow allows customizable field display properties using placeholders or scripting logic for Display Name, Help Text, and Required Validation Error Message. Meaning you can display "PTO Start Date" or "Sick Leave Start Date" instead of "Start Date" based on user selection of "PTO" or "Sick Leave" respectively. This feature helps to create a more self-explanatory form which in turn save time and effort for your users. The following animation demonstrates the feature in action. 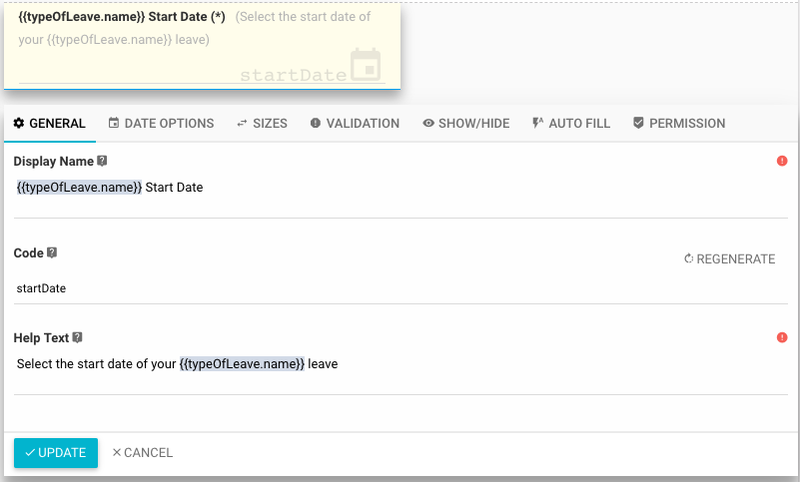 Note that when the user picks a value for "Type of Leave", the name of the two date fields are changing.